In the Jungle, the mighty Jungle… We organized a trip to the Jungle Park in the south of Tenerife for a group of Erasmus students, who do their hotel internship on Tenerife. We, the s-w-e-p Team, joined them because we didn’t want to miss the chance to visit the Jungle Park. 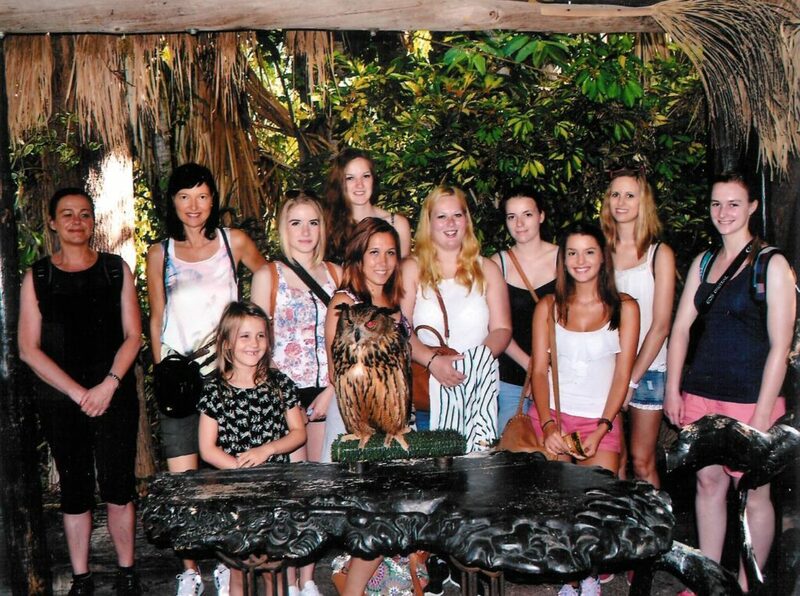 We went there with the free shuttle bus which drives directly from some hotels in Los Cristianos to Jungle Park. Arrived there, we joined a show with lots of different birds. It was amazing seeing those animals flying over peoples’ heads! Sometimes we had to duck our heads because an eagle was flying a little bit too low. The birds were allowed to walk through the crowd and get some food from people. We never saw such exotic birds this close. After that we started our tour through the Park. Walks over different suspension bridges, a drive with a bob sleigh and a rest at the viewpoint from where we could see over Los Cristianos are just a few activities we did there. After a visit in the Jungle Park Restaurant, we attended another animal show, with sea lions. It was funny to see the sea lions jumping through tires and dancing with their keepers. After we had seen all enclosures with animals like flamingos, lions, meerkats and monkeys we returned home with the shuttle bus. It was a very nice day and all of us had lots of fun! Visit the park during your internship abroad and convince yourself!